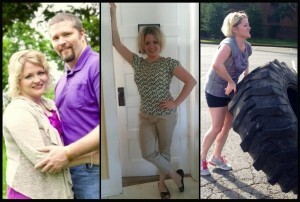 Eight months ago, I walked into Studio Fitness. I drove by weekly and was attracted to the Weekend Warriors I saw outside working out together. I knew I was in need of an update to me. I was at one time a collegiate cheerleader, an amazing acrobatic dancer, and physically fit. I’m down 20 pounds, my body mass index is down, my muscle mass is up and I’m happy to say that I have set personal records I never thought I would. I am so grateful for Darcy, the trainers, and the camaraderie of trainees all from Studio Fitness. I look forward to my workouts and my “building Joy” time. My body has changes for sure, but it’s the mental benefit for which I most rejoice. I’m back! I’m strong. I’m focused. I’m active. I’m happy. I’m Joy again… and even better than before!